The Boondock Saints is one of my favorite action movies of all-time. Sure, it doesn't have an in-depth plot or Oscar worthy acting. But it's full of action and is the perfect popcorn movie. The fancy critics on rottentomatoes.com only gave it 20% but the people have spoken and listed it at 90%. I find that my movie picks usually fall more in line with the user reviews opposed to the critics. 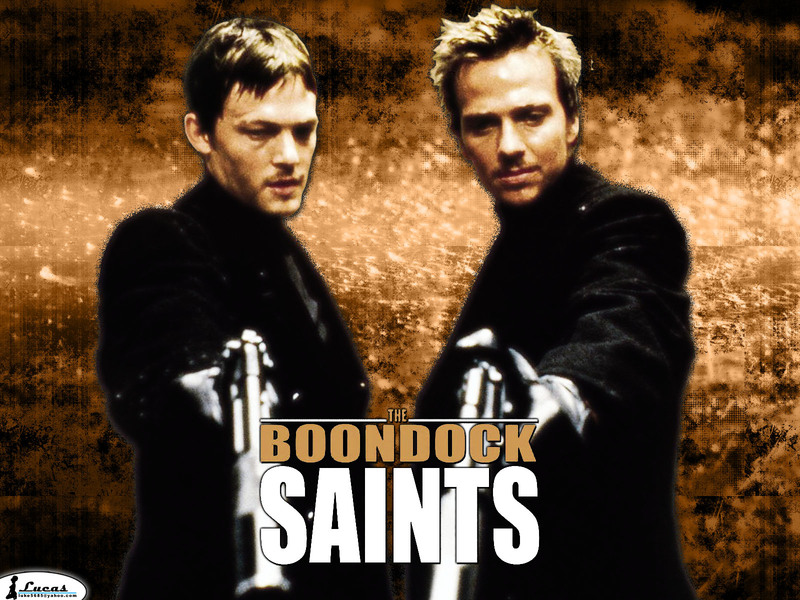 The Boondock Saints is a vigilante film about a pair of fraternal twins. They seem to be normal Irish lads who have a lot of pride for their home and family. The get into trouble with some Russian mob guys and end up having to defend themselves and dispose of the punks. While laying low, the press and publc go on to praise them which makes them feel they were meant to continue their vigilante spree. Their mission is to rid Boston of all its scum and they do their best Batman and Robin impersonation, minus the money, gadgets and butler. Their bloody crime spree is investigated by quirky FBI agent, Paul Smecker (William Dafoe). The brothers do their best to stay two steps ahead as Smecker gets closer to them after every kill. Boondock Saints is a fun watch and should be required for every male before he gets his man card. It has action, gunfights and Irish pubs.